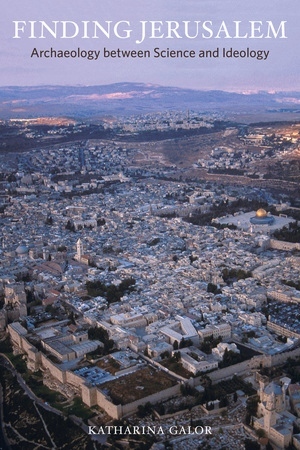 Archaeological discoveries in Jerusalem capture worldwide attention in various media outlets. The continuing quest to discover the city’s physical remains is not simply an attempt to define Israel’s past or determine its historical legacy. In the context of the ongoing Israeli-Palestinian conflict, it is also an attempt to legitimate—or undercut—national claims to sovereignty. Bridging the ever-widening gap between popular coverage and specialized literature, Finding Jerusalem provides a comprehensive tour of the politics of archaeology in the city. Through a wide-ranging discussion of the material evidence, Katharina Galor illuminates the complex legal contexts and ethical precepts that underlie archaeological activity and the discourse of "cultural heritage" in Jerusalem. This book addresses the pressing need to disentangle historical documentation from the religious aspirations, social ambitions, and political commitments that shape its interpretation.